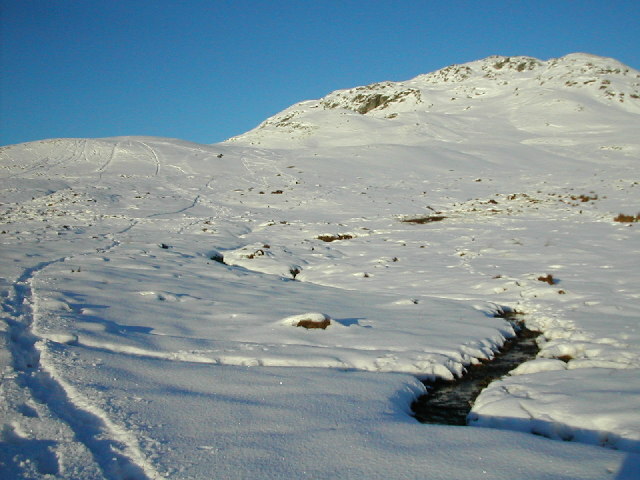 Meall Corranaich from just off the access road. Some great snowboarding was had in the fresh snow - the walk up well worth it with beautiful blue skies. Taken on 17th January 2004. © Copyright Brendan Howard and licensed for reuse under this Creative Commons Licence.